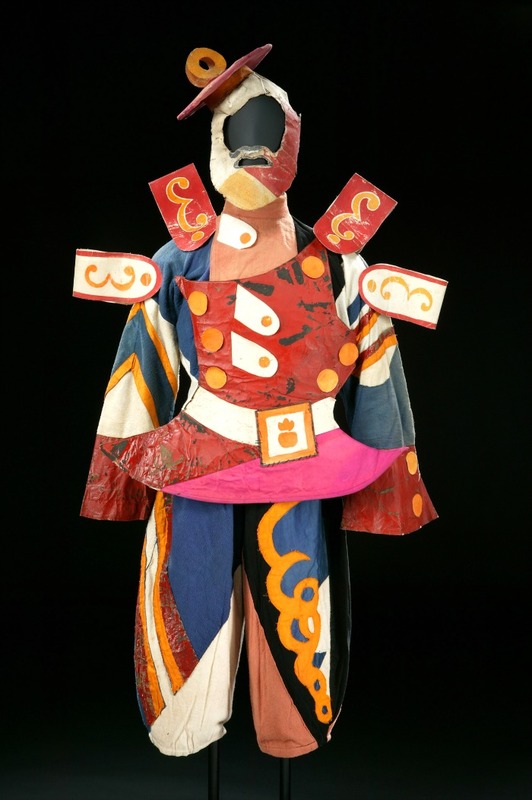 Diaghilev and the Ballets Russes, 1909-1929: When Art Danced with Music. 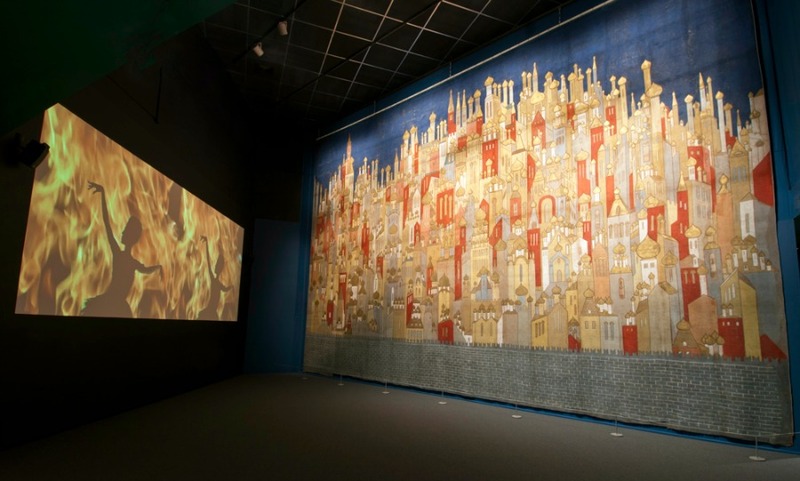 © Victoria and Albert Museum, London. 2013. 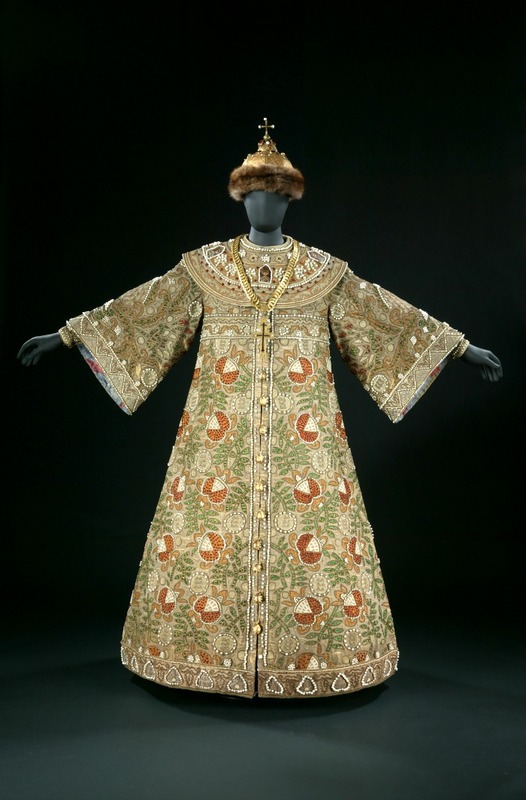 Costume worn by Fyodor Chaliapin in the title role in the Coronation Scene from Boris Godunov, c.1908. Silk and metal thread, glass beads, “essence d’orient” pearls, metal, painted silk lining, replacement fur Victoria & Albert Museum, London. 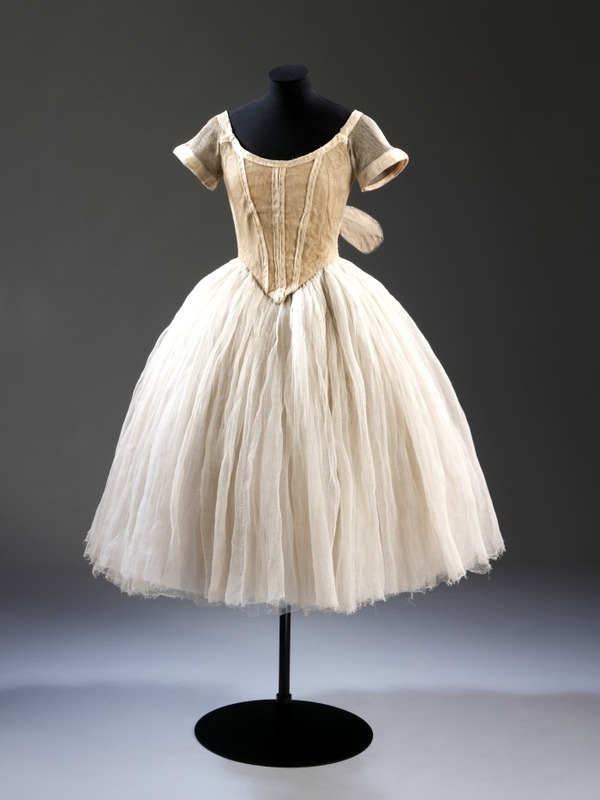 Costume worn by Lydia Lopokova as a Sylph from Les Sylphides, c. 1916 silk and cotton net, with metal armature. Victoria & Albert Museum, London, Cyril Beaumont Bequest. Photo © Victoria and Albert Museum, London. 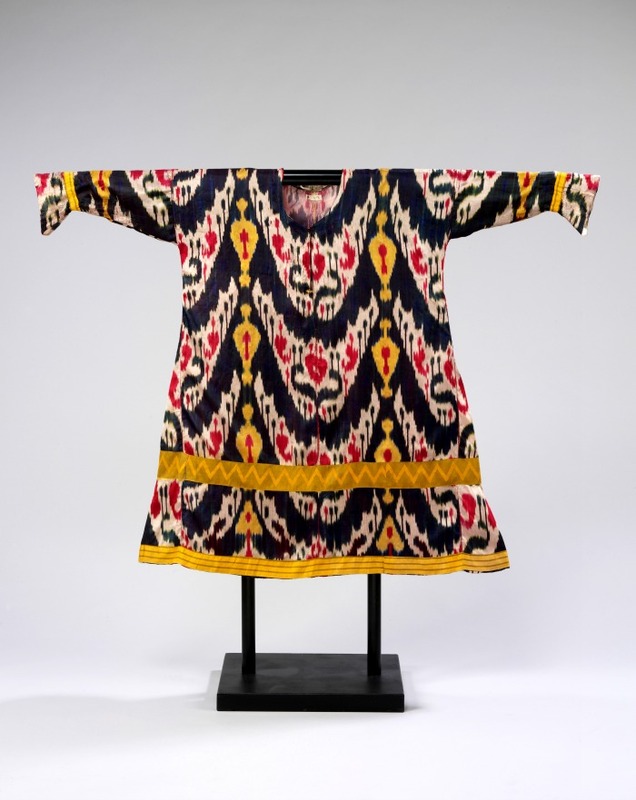 Costume for a Polovtsian Girl from Prince Igor, 1909 silk ikat fabric. Victoria & Albert Museum, London. 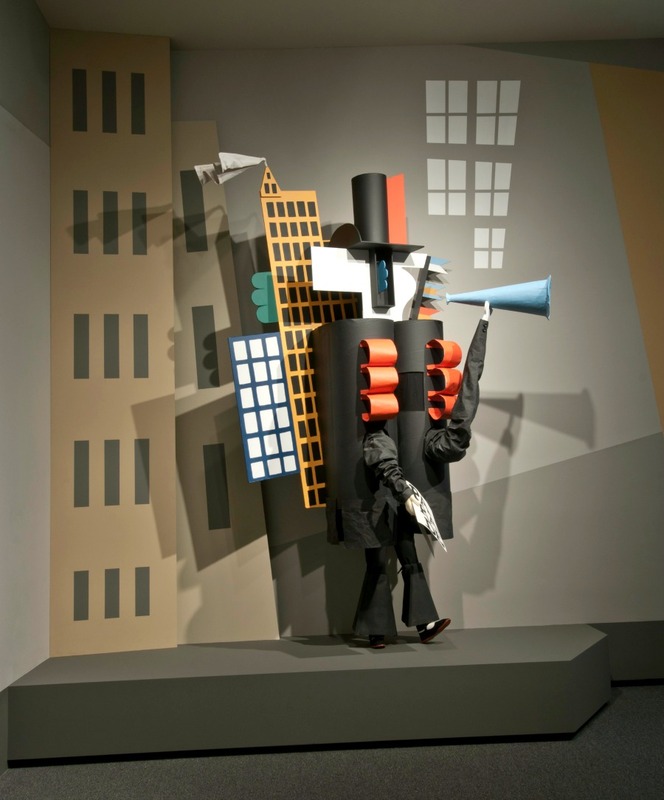 Costume for a Soldier from The Tale of the Buffoon, 1921. Wool, cotton, buckram, flannel, satin and calico, with metal, straw, and paint. Victoria & Albert Museum, London. 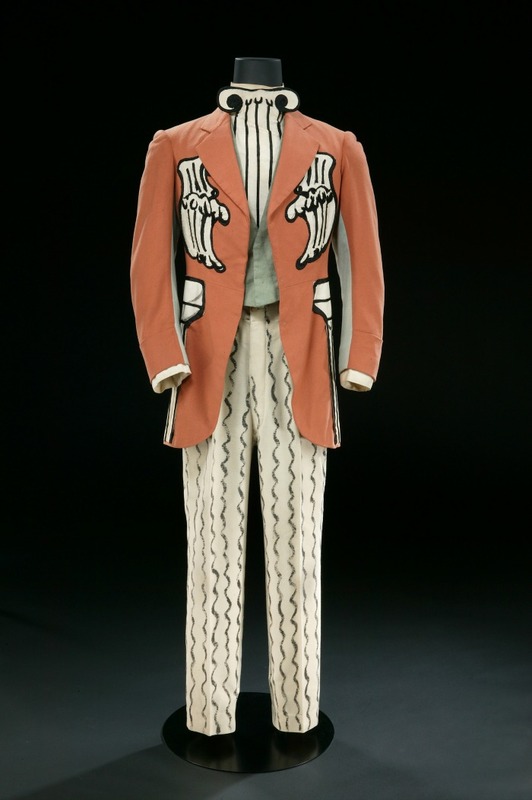 Costume for a Male Guest from The Ball, 1929. Gabardine, flannel, silk, and wool, with painting and appliquéd medals. Victoria & Albert Museum, London. 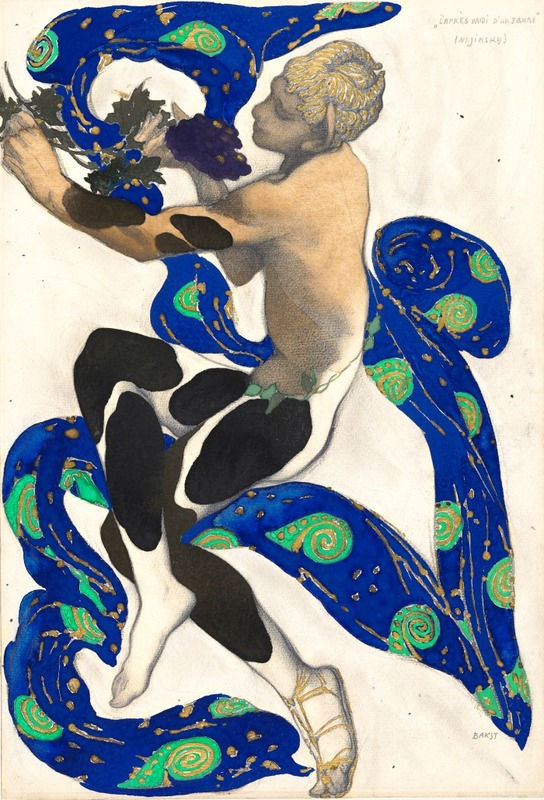 Costume design for Vaslav Nijinsky as the Faun from The Afternoon of a Faun, 1912. Graphite, tempera and gold paint on laid charcoal paper. Wadsworth Atheneum Museum of Art, Hartford, CT, The Ella Gallup Sumner and Mary Catlin. Auguste Rodin, cast by Georges Rudier. 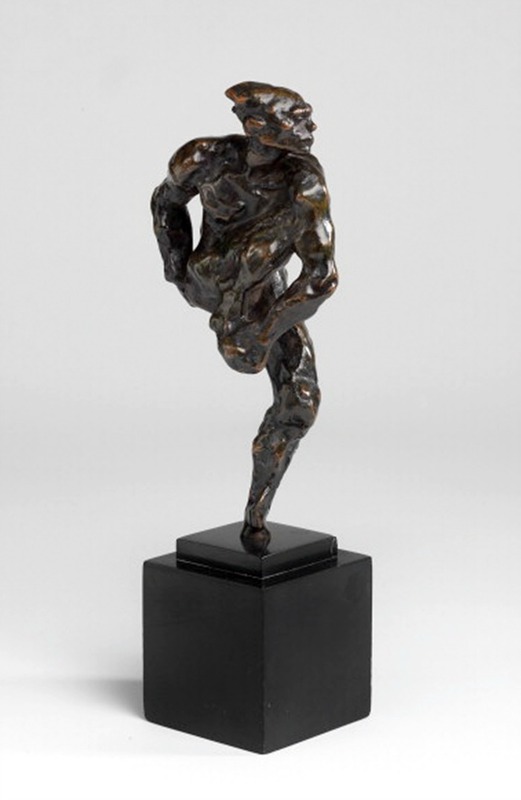 Nijinsky, 1912, cast 1958 bronze. 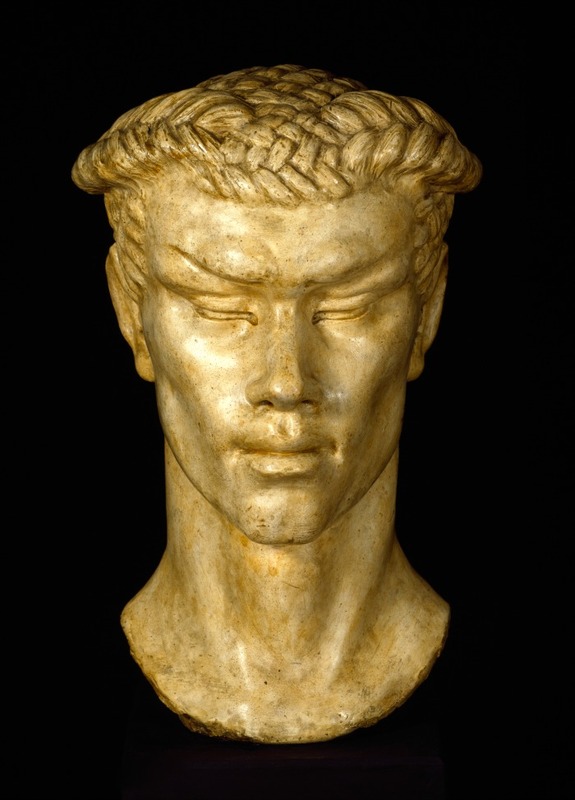 Vaslav Nijinsky as the Faun, 1912 plaster. Victoria & Albert Museum, London. 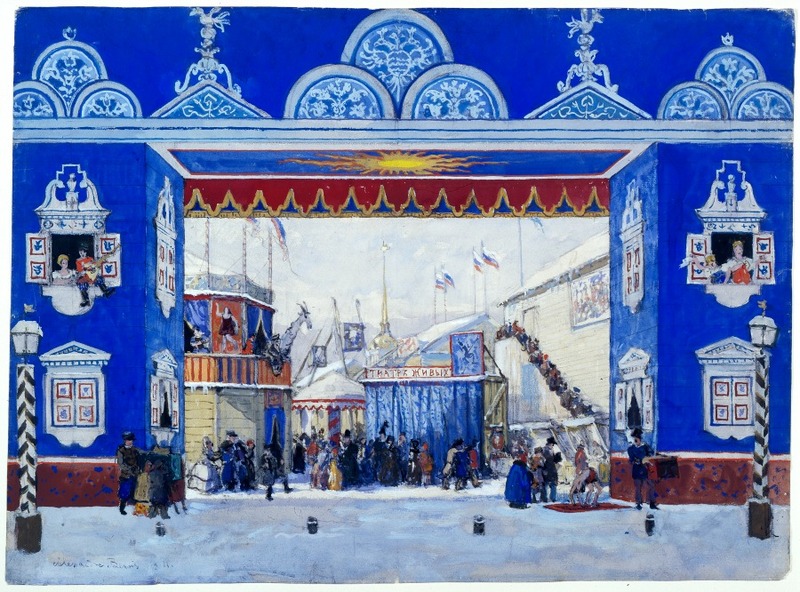 Set Design for the Butter Week Fair (scenes 1 and 4) from Petrushka, 1911 graphite, tempera and watercolor on machine-made laid paper Wadsworth Atheneum Museum of Art, Hartford, CT. The Ella Gallup Sumner and Mary Catlin Sumner Collection Fund.